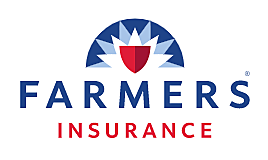 Farmers is dedicated to being the right choice for auto insurance, home (homeowners and renters), life insurance, business insurance, umbrellas, boat and recreational vehicle insurance, and a whole lot more. As your personal agent, Cory Edwards believes in keeping you informed and aware of Farmers insurance products. It is his mission to help you develop the right plans to meet your insurance needs. Through dedication, knowledge and a tireless work ethic, he will be the agent who my customers want to send their friends and families to. Cory will strive to protect his clients’ assets.